I don’t know if most kids still know how to catch dragonflies nowadays. I doubt if any of them still do, especially those who live in cities where trees and plants are almost non-existent. It seems they have settled their childhood on iPads and YouTube, leaving me with the impression my childhood days were better than theirs. Childhood for me was simple and bliss, peppered with memories of Gummy Worms, colored gum, matchbox cars and Japanese anime series. I never owned a game console even though I had drooled for my cousin’s Nintendo, which was filled with Mario or Sonic the Hedgehog. Instead, I had loads of playtimes at school. Huge old, mango trees gave us shade when we played touch ball and sipa. The green, growing grass that had brushed our socks and newly, shined leather shoes became home to curious little creatures like the dragonfly. I don’t know the origin of dragonfly catching. It appears to be buried in the subconsciousness of every active kid born with sunshine and fresh air. My mom told me they also used to catch dragonflies when they were children. Now, it was my turn to catch a few of them. These little creatures were quick. While one dragonfly would brush its face with its front feet, I’d slowly and quietly sneak behind it. I’d usually spot them sitting on blades of grass. Snatching it by its wings, I’d then feed it with pieces pf grass. Once it stops eating, I’d let it go. Then, I’d catch another one out of thrill. Green dragonflies were the most common ones. It would be an honor for anyone who could catch a blue one because it was rarer and quicker. Anyone who catches a red one would be the master of drangonfly hunting. It’s like winning a jackpot and the awe of your classmates when you catch the reddest of them all. But I’d usually beat the others by catching more dragonflies quickly. One schoolmate once asked for my handful of dragonflies in exchange of chocolate candies I was asking from her (which I obliged for the sake of chocolate). But it was a horror for me to find some kids picking off this insect’s wings one-by-one. I’d never do that to a harmless creature. So, it seemed to be a waste for some kids at school that I would always let go of the dragonflies I have collected at the end of the day. 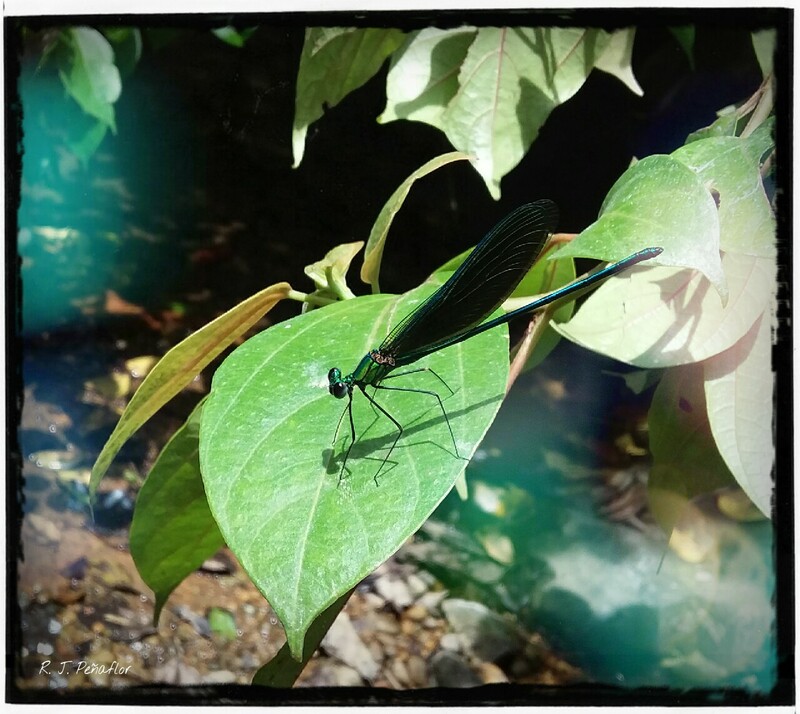 These days, I’d only see dragonflies when I go on a hike. Unlike before, I would never dare to touch one because there might only be a few of them living in this sanctuary. But seeing one would always make me excited because it would always be a part of my simple and blissful childhood that might never be experienced by the next generation. 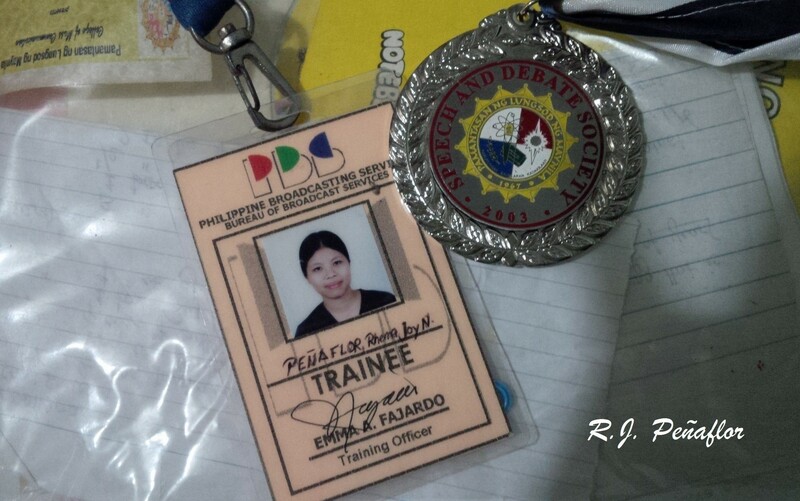 My ID when I was a trainee at a government radio station laid beside my medal when I won 3rd for interpretative reading for a speech contest. 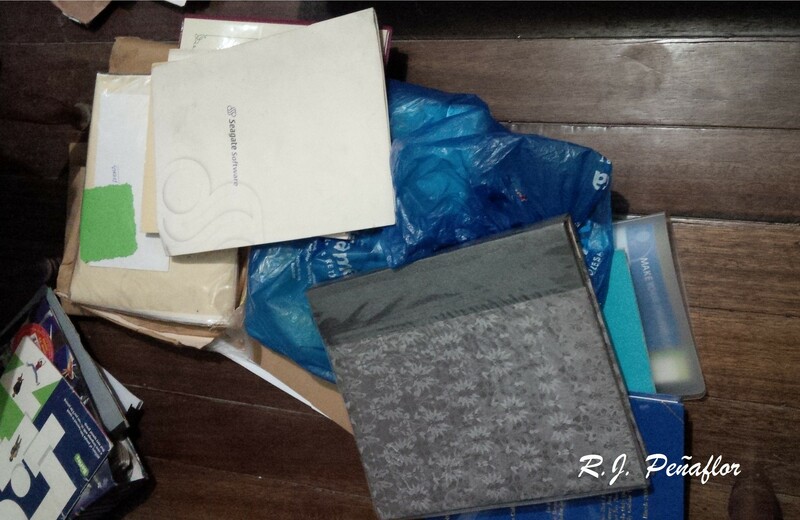 One of the blessings I’m having in this resting period is the huge chunk of time I have for clearing my closet. If it were not for the need to look for my transcript of records and my college diploma, I would not have unraveled a lot of nostalgia from those crazy college years last week. If my contemporaries loved high school more than college, I’d rather not rally with them. 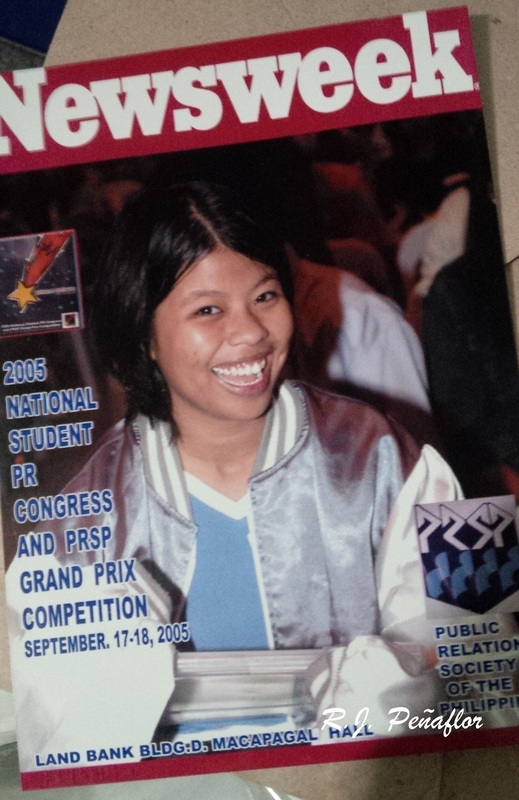 I hold on to my conviction that the college years made the best out of me compared to those high school days. Maybe because those four years in high school only ignited my insecurities. Those college years were more exciting and challenging. This was when I discovered that I can challenge myself and go beyond the classroom chair. I never thought I’d have the chance of joining contests and even having a work published in a newspaper. 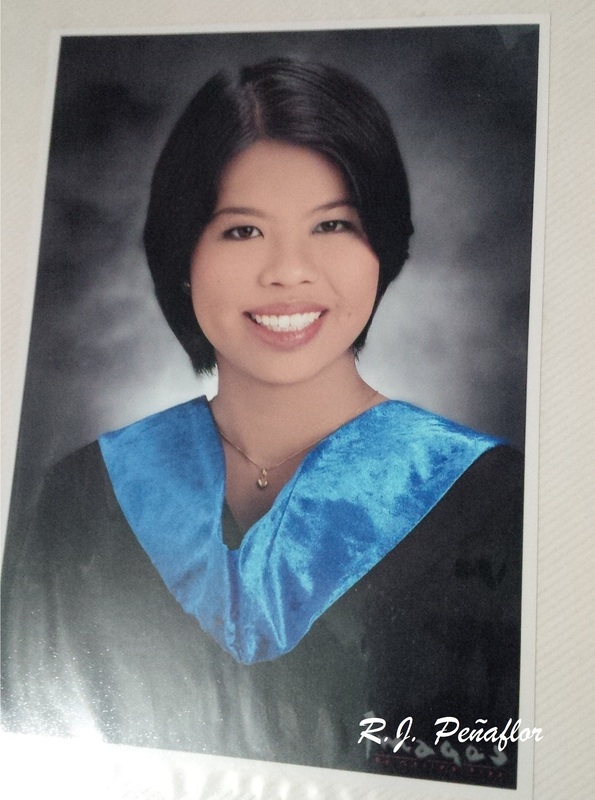 These were the years that I don’t get to be a teacher’s pet, a topnotcher, or a heartthrob just to be a contestant. Oh yes, that was my golden era of my school life. department so badly, which I gladly did. Masscomm students have inherited the saving power of voicing everything out loud. Without it, it would disprove our reputation of being worthy in this department. I, on my part, loved the idea of working behind the television production, taking video shoots, writing scripts, and just be as creative in media. I had even experienced – and learned – outside the classroom by watching theater plays (which I dearly love), documentaries, and exhibits. But I will not deny the stress and emotional despair experienced in every projects and exams that go way above my head. There were terror professors, true, but we also had inspiring ones who encouraged us to go beyond our limits. I had a lot of interesting friends and worked with fascinating colleagues who are simply go out-of-the-box. We had entered exciting competitions outside the university. The best maybe is have some of our works aired on television. Looking at the pictures, I looked plain…except for that wide Cheshire cat grin that pushed those dreaded pimples off my cheeks. I am just fascinated how my trademark grin had not vanished from these plump cheeks of mine, which usually flashed automatically when I see familiar faces. Despite presently not being challenged, these memorabilia remind me that I can go beyond from where I am right now. I don’t have to be a somebody in society to reach my dreams. Besides, heroes come from being zero. It would be good to see these hidden treasures from time to time…especially when you thought you just lost your diploma beneath the pile of papers and folders.